Classical music: What makes American music American? Two weeks ago tomorrow, a lot of radio stations and individual listeners were playing it patriotic and celebrating the Fourth of July by playing works by American composers, including programs devoted exclusively to such works. But what makes an American piece of music sound American? 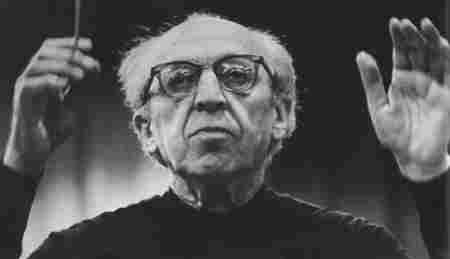 Is there something that links Aaron Copland (below), Edward MacDowell Charles Ives and George Gershwin to Philip Glass, Steve Reich and Elliott Carter? 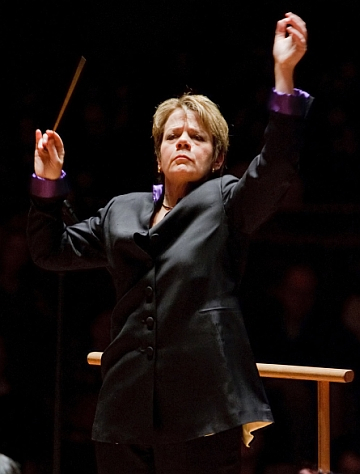 American maestro Marin Alsop (below), who studied on Leonard Bernstein and who heads the Baltimore Symphony Orchestra, has some interesting and engaging thoughts on the matter. What do you think of what Alsop says? Do you think American composers share certain traits? What are your favorite pieces of American classical music?